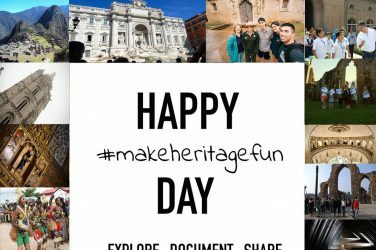 Make Heritage Fun, March 2018 - GoUNESCO - Make Heritage Fun! 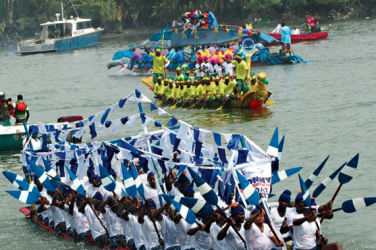 Make Heritage Fun is a celebration of our age-old customs, traditions, values and belief systems. In the era of fast food, the traditional cooking seems to be in slow motion for the present generation. 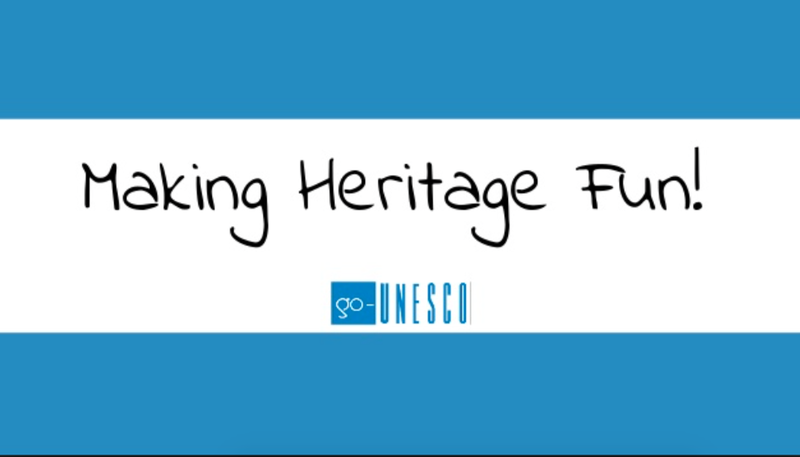 We planned for a #makeheritagefun activity to allow people to engage with their own local cuisine, recipes, utensils and tools that are used by their grandparents and document them with a fun element! Do you know how heritage looks like? Read the rest of the article and let’s discover our cultural heritage which was celebrated on 25th March 2018 all over the world. Consider that local coordinators are free to interpret how to explore their heritage during the campaign, so in this article, you won’t find only food heritage. Stefano organised a walk in the Jewish Ghetto in Gorizia (Italy). 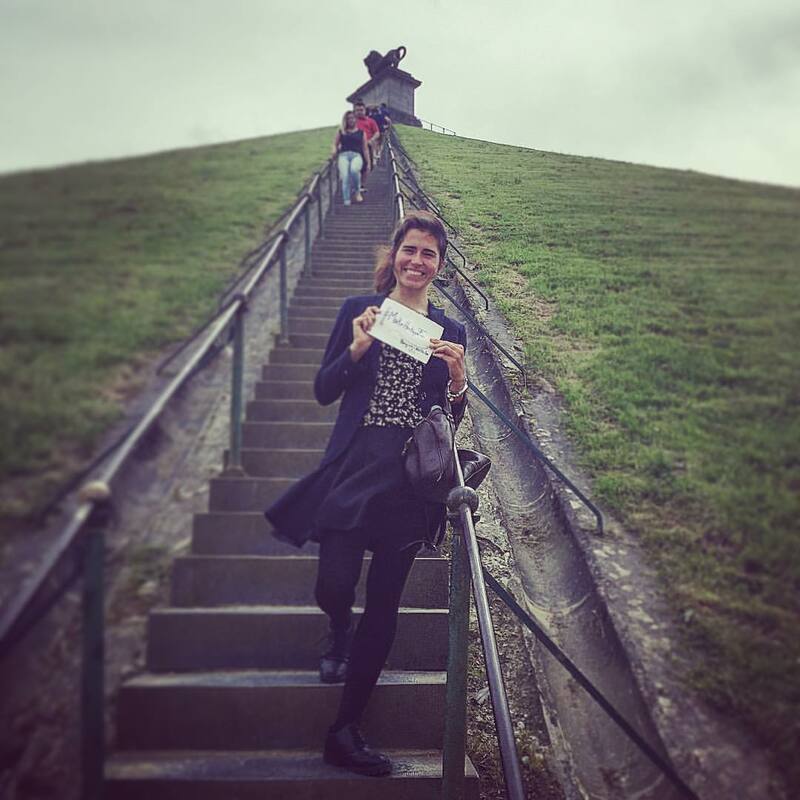 The aim of the activity was to discover the local Jewish culture. The tour guide explained in detail the history of the local Jewish community focusing his attention on several aspects regarding life in the ghetto, as well as interesting features related to the buildings surrounding the street. The visit was also enriched by short explanations concerning the cuisine of Gorizia’s Jewish minority. In this respect, participants not only became aware of an almost lost culinary tradition, but they also had the chance to taste it by themselves. The activity ended with a Klezmer concert played by the trio Etnoploc, in the Synagogue. This activity was organised in collaboration with the Youth Section of Club for UNESCO of Gorizia, Leo Club Gorizia and Rotaract Gorizia. Read the report here! 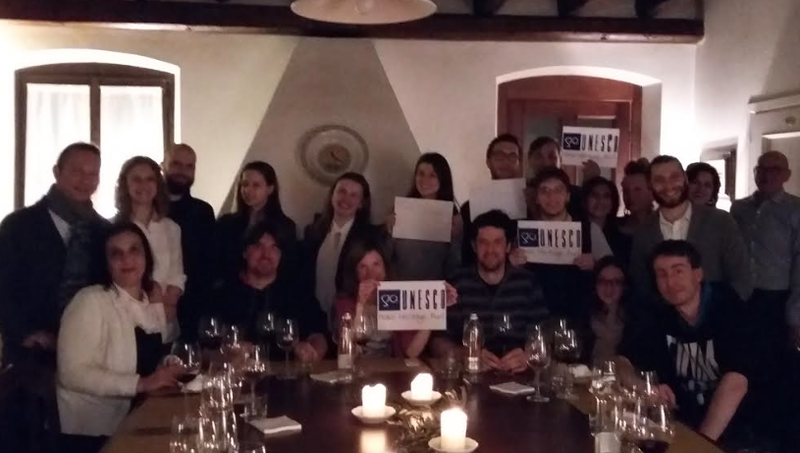 Giuseppe organised a wine tasting event in Udine, Italy, at Trattoria “Il Picchio”. Wine is part of Italian culture and it is different from region to region in taste, and production. He chose to taste the wine produced in the Marche region. Participants had the opportunity to discover how wine is produced, its peculiarities and qualities. In addition, each type of wine was paired with an appetizer which brought out the flavour in a more pronounced manner. 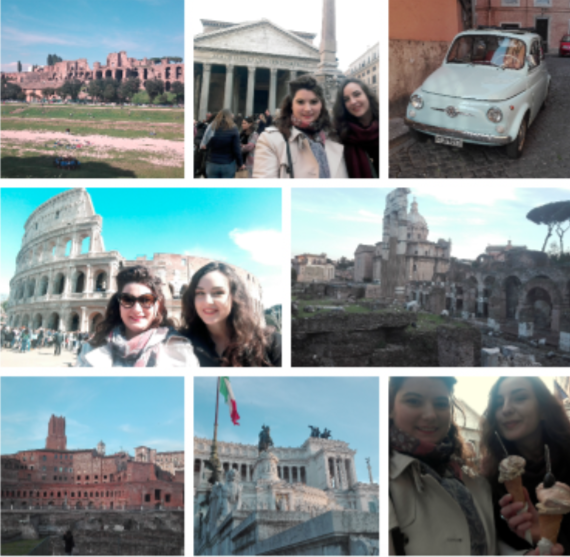 Jessica organised a historical walk in Rome City Centre, Italy. Rome is one of the most known city, and it is full of history and, in particular, monuments. It is called the “Open-air museum”. 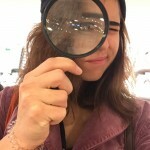 She organised a walk to explore some of the most beautiful andimportant monuments and pieces of history of the magic Rome, such as Vittoriano, Circo Massimo, Colosseum, Fori Imperiali, Pantheon, and more. During the walk, participants had the opportunity to taste one of the best ice-creams in town at Giolitti’s. 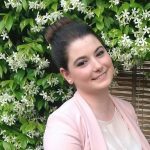 Lorana organised an activity for re-exploring her birthplace and share it with the rest of the world. She visited her family, in villages near Banja Luka, Republic of Srpska. They had a traditional breakfast together. Following this, she visited Krnete village, where her uncle’s wife made a tasty homemade pie! In the end, she visited Romanovci village, where wooden churches are the most interesting guardians of tradition and spirituality of the land on both sides of the river Vrbas. These temples are Serbian Orthodox churches, and the one in Romanovci has been declared a national monument (the great writer Petar Kočić got married in this church!). 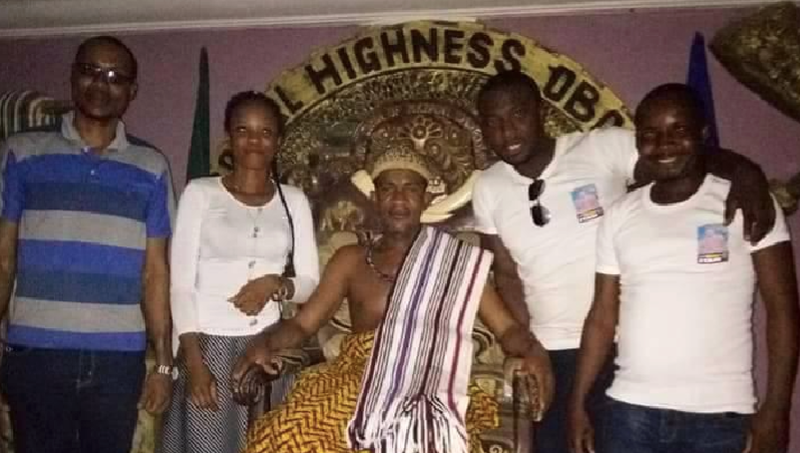 Garshon organised a visit at the ancestral hall of Akpor Kingdom, and a food tour at the Market street. 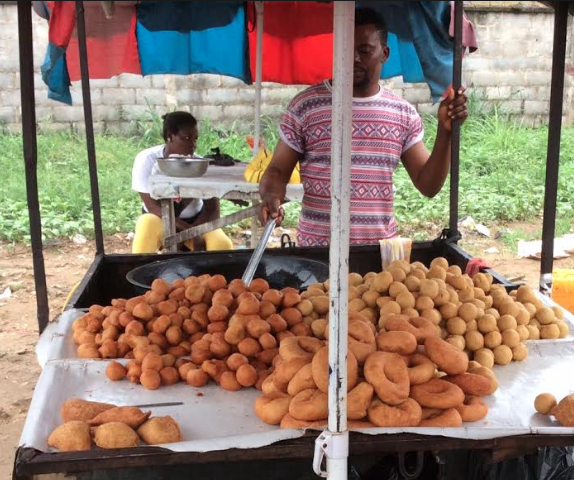 During the walk, participants have the opportunity to taste Nigerian food like Bole and Fish, confectionary, and discuss about their food heritage. The activity was organised with the Old Boys Association of Country Grammar School Ikwerre/Etche. Bright organised a visit to the community and the King of Mkpani Kingdom, Cross River State, Nigeria. In Africa, the community is very important, it is part of the culture. Then, participants ate traditional food, the okana leaves (raw) with pepper sauce, offered by the community. 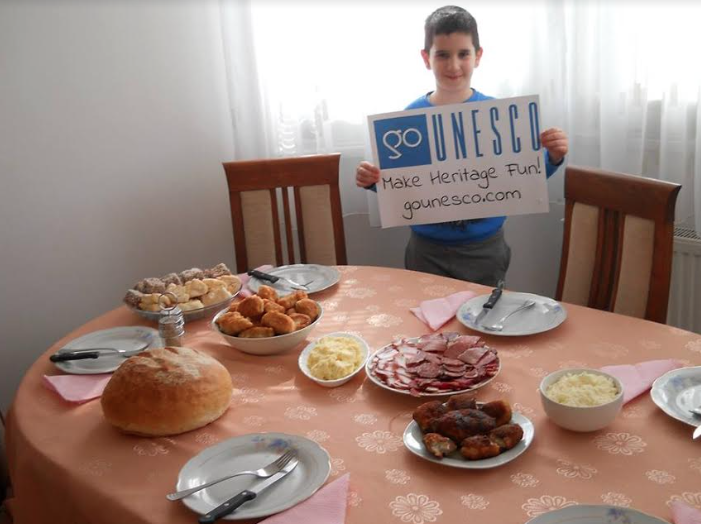 Hashid organized a #makeheritagefun activity in Bahrain for the first time in GoUNESCO history! 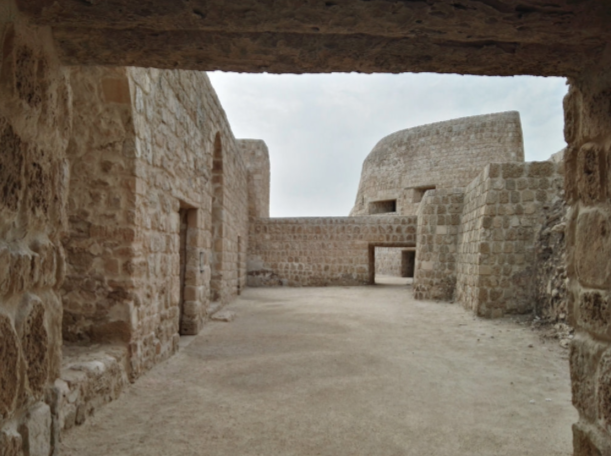 In this occasion, he decided to organise a journey to learn and explore historical facts and figures of the fort of Bahrain in Manama. Participants discussed the terminologies associated to culture, history and heritage. They learnt the notions of Bahraini culture and also some of the past legends/myths that helped in creating curiosity among the participants. 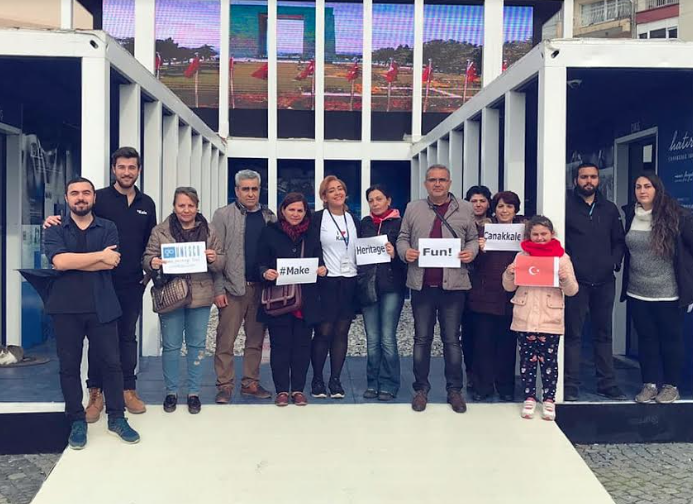 Nouran choose to organise a visit at the museum in Çanakkale, called Çanakkale İskele Meydanı. Participants had the opportunity to know more about the Gallipoli campaign during the World War I, thought an interactive tour, named “Sons of Gallipoli” (Turkish name is “Çanakkle’nin Evlatlari”). The aim of the exhibition is to embalm the memories of Mehmetçik (martyrs) who opened the gateway for an unprecedented victory in Gallipoli, which was the harshest front of World War I.
Pranav organised a visit at Strachey Hall (India) with his friends. The building was completed in 1885, and they had the chance to discover and explore its fantastic architecture. 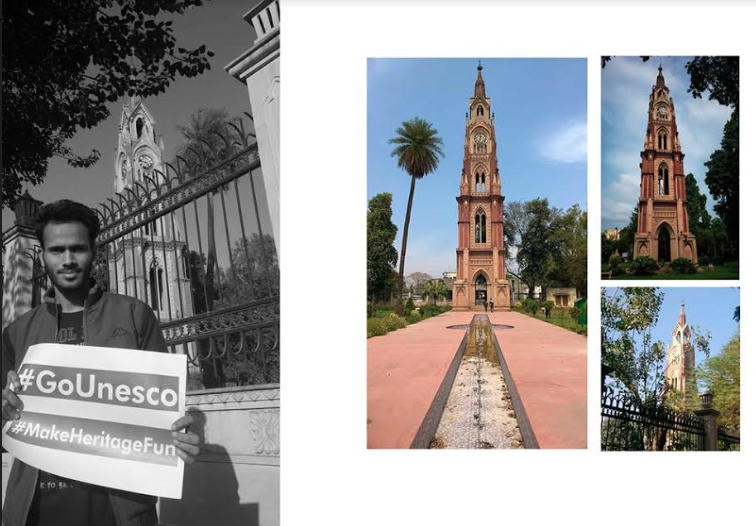 He also organised walk to explore the Aligarh’s Clock Tower, one of the oldest locations in Aligarh. There, the Gothic Architecture is the protagonist, and participants had the opportunity to appreciate it during their heritage walk. Rishika organised an activity with children for discovering the Ruins of Rewa (India). They played history trivia quizzes and they walked for 2 km to discover the hidden history of the site. The activity makes children learn by doing, this is the best way to make them become heritage ambassadors. 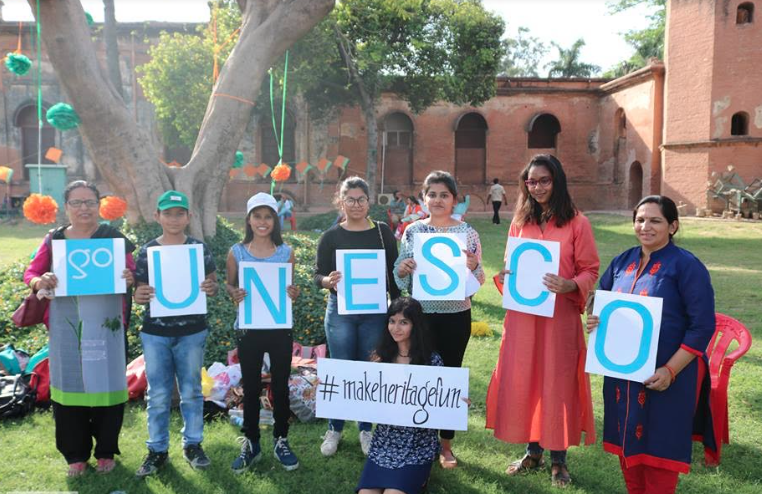 Muskan and student volunteers organised their #makeheritagefun activity at Residency in Lucknow, India with 256 people. They organised a heritage walk to discover the history of the site. Residency was constructed in 1775 for British residents, and in 1857 it was attacked by freedom fighters. The attack went on for 87 days and it is often called “The Lucknow Siege”. For this reason, Residency is very important in India, it represents its freedom. At the end of the walk, children participated at drawing competition, and the theme was “Freedom Struggle”. 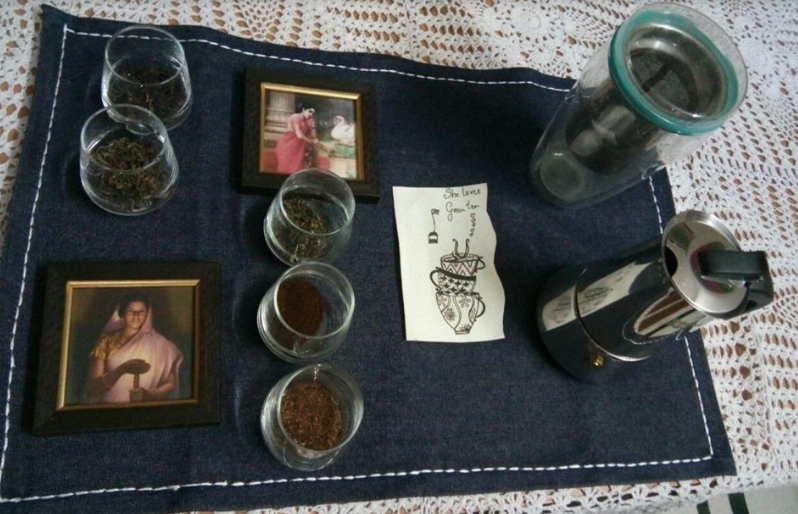 Rachana from Bengaluru, India hosted a Tea part with her family, she explored the magic of mixing tea like peach tea with a dash of mint, wine tea and listening to T-radio, one and only music inspired by tea. Arnav organised a Heritage Walk in Red Fort, India, which is one of the most important monument of the country. 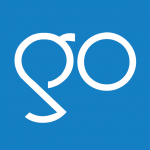 He organised the event together with NGOs, Start Ups, and many people who wants to make heritage more available for all, and share it with the rest of the world. In the words of the organiser “There shall always be space for more art, culture and heritage in our hearts”. Heritage Walk Karachi is a Pakistan Chowl Community centre’s project. They organise heritage walk tours for appreciating more their heritage. They organised one of their walk for joining our global campaign. The sessions are divided into three sections: walk, explore, and talk. 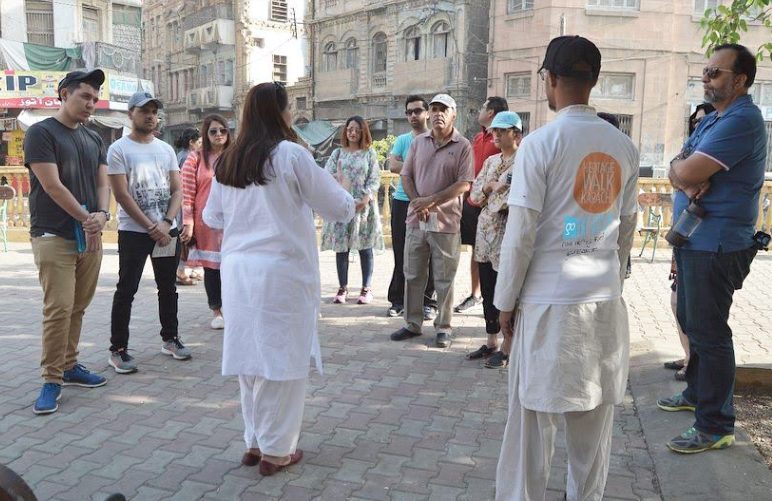 During the walk, they explored Pakistan Chowl, the water trough, the Sevakunj hostel, the Sarnagati building, the Mendoza building, Sadik Manzil, Bot’l gali, the Karachi Municipal Corporation building, paper market, the Adamjee building, the Menghraj Dewarkadas Nagpal building, and Outram street. Alisha from Delhi, India organized a heritage walk with Gazal and Shayari session, in partnership with Chakor Lakeerein. 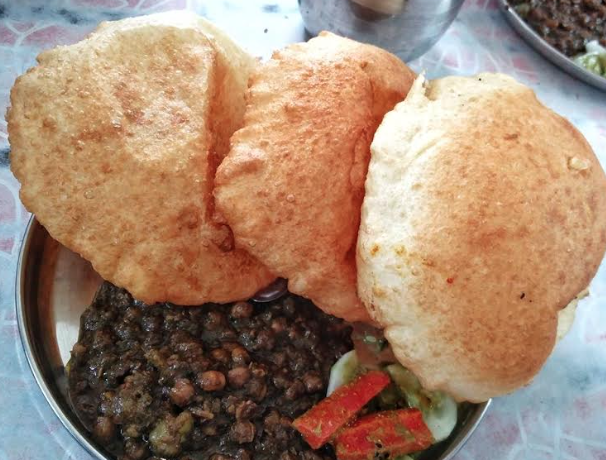 They organised a walk to discover their food heritage in Delhi, and during the walk they tasted their heritage. 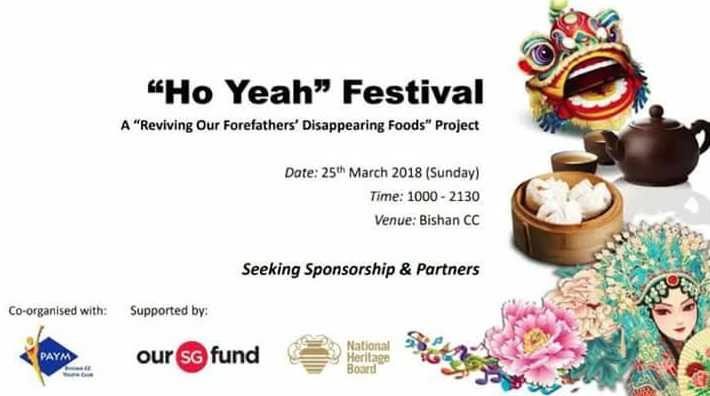 Lynn joined the campaign though the Ho Yeah Festival, which is a youth initiative to showcase Cantonese and Hakka culture through documentary film screening, heritage food booths, carnival games, live band music, heritage gallery highlighting the contributions of well-known Cantonese and Hakka personalities in Singapore, workshops on Cantonese dialect, opera, martial arts, lion dance, and more. The aim of the festival is inspiring the youth to connect with their roots. 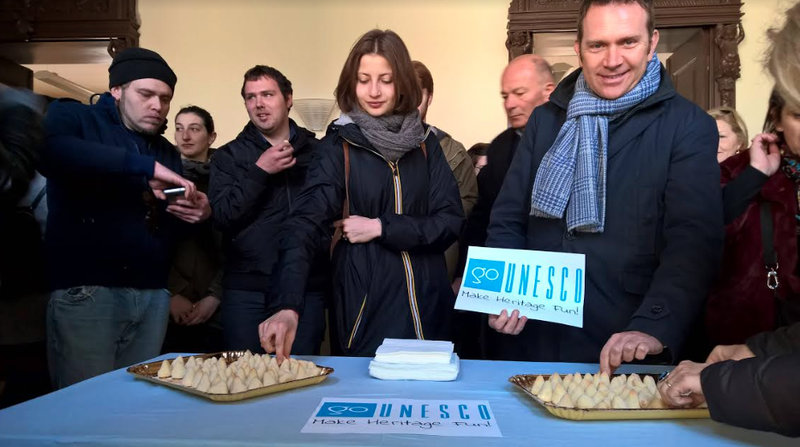 Thank to this campaign, we had the opportunity to “taste” different “food heritage” through individual experiences that were brought to us by our enthusiastic participants. 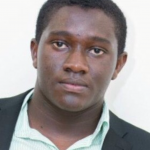 What about your cultural identity? Write an article and tell us about your favourite “food heritage”.